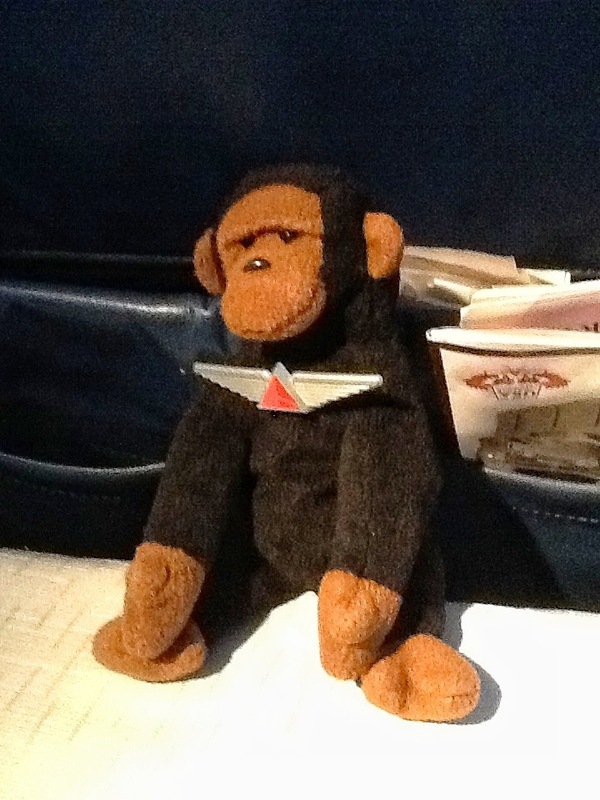 Faithful readers will know that Kongo is an unabashed fan of Delta Airlines. He is a charter Diamond member, flies about 200,000 miles a year with them, is a Million Miler, and has been pinned. Kongo has also made many friends with Delta flight attendants. Like he’s doing now, Kongo frequently posts to his blog from 35,000 feet somewhere over the United States (thank you Gogo inflight WIFI). Imagine Kongo’s surprise when leaving San Diego this morning he sees a new pre-flight safety video! This is like a big WOW for the little monkey. The previous video, which had been running for more than four years was getting pretty stale. Kongo could easily have given the flight briefing personally and never missed a beat. But the new safety video is something else. It will keep you amused but more importantly, keep your attention, which after all, is the point. Check out the new video below and next time you’re on a flight between SAN and ATL be sure to look for Marsha and tell her Kongo says hi!